John Knicely and Johnny Ray Gomez at Brookestone Meadows. 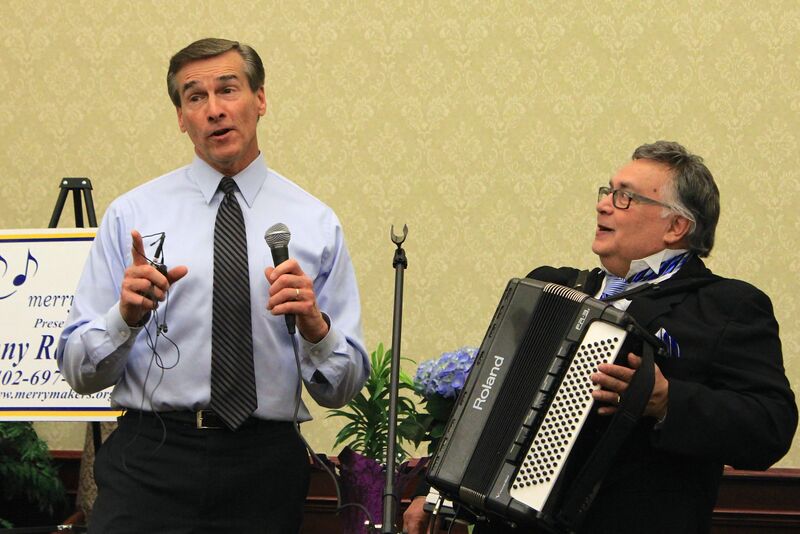 John Knicely recently saw a Merrymakers performance by Johnny Ray Gomez while visiting with his parents in a senior facility. He was impressed, and thought we’d make a great segment for his “Knicely Done” series which airs during the newscast on WOWT. We were more than happy to oblige he and Roger Hamer when asked to provide a special performance. The subsequent segment was a great snapshot of the great work Merrymakers achieve thousands of times each year. Stay tuned, and thanks for your support.